The national power of a country may seem like an arbitrary and opinionated factoid but in recent years several publications and organizations have tried to rank countries based on their national power. Most of these publications and reputable business sites have based their rankings based purely on the GDP of the country, population and spending on the military. But the strength of a nation depends not only on these but several other external scales like leadership, political turmoil, human development, its probability of winning in a bilateral competition, and of course the strategic focus of the country. 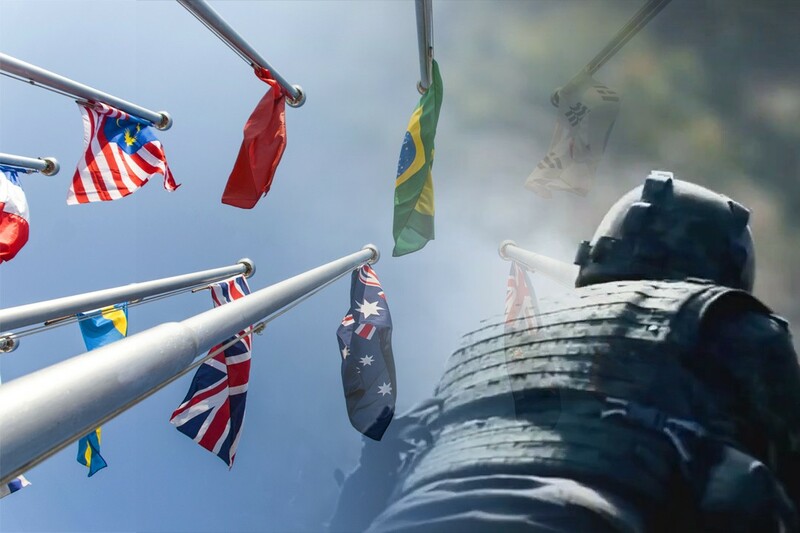 A ranking system called the National Power Index (NPI) devised by a partnership of University of Iowa, Nankai University and Korea University has aptly calculated the capabilities of 187 recognized and autonomous nations. We are going to look at the 10 of the most powerful nations in the world based on the NPIS score which is the NPI normed against strongest nation having a score of 1. 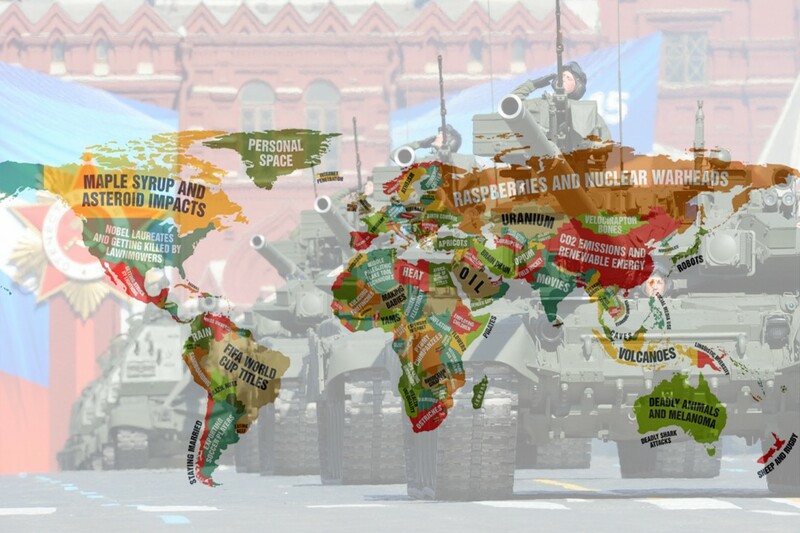 Canada has finally usurped Russia as the stronger nation in 2016 as its human development ranking, government institute and readiness for a bilateral competition has made it a more powerful nation. If Canada goes to war with a nation, it has a probability of 0.9502 out of a full probability of 1 of winning it. Ever since the inclusion into the European Union in 1986, Spain has transformed itself from a back-alley country to a modern, economically sophisticated and a country with infrastructural reforms. Spain has a winning probability of 0.9505 in an event of a bilateral competition. Despite having ousted themselves from the United Nations, United Kingdom is still one of the most powerful nations in the world. 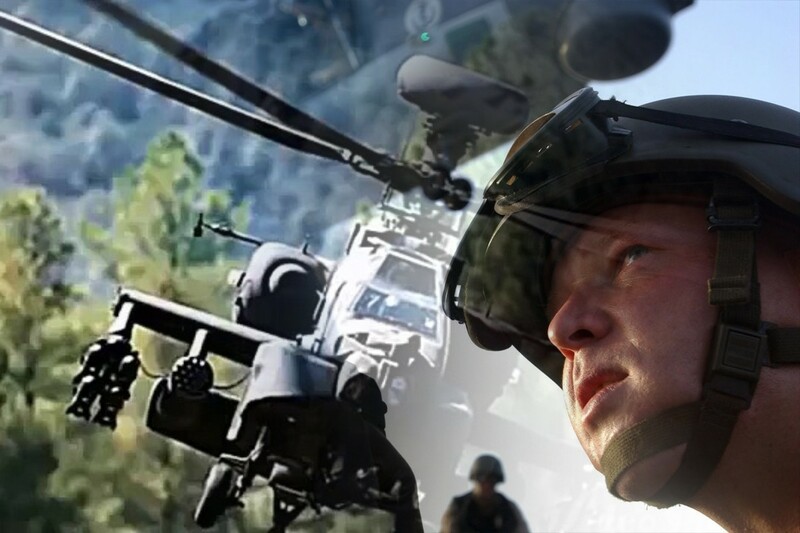 It is economically stable with latest infrastructure and use of state-of-the-art technology in their military endeavors. Currently, UK has a 0.9573 winning probability against a bilateral nation competition. Italy has the third largest annual Gross Domestic Product in Europe and also holds a powerful standing in the European Union. Its ranking has dropped below South Korea because of a tumultuous 2016 political year. In a bilateral competition or an act of war, Italy has a 0.9583 probability of winning. Every able male serves in the military of two years after they become an adult in the Korean republic. 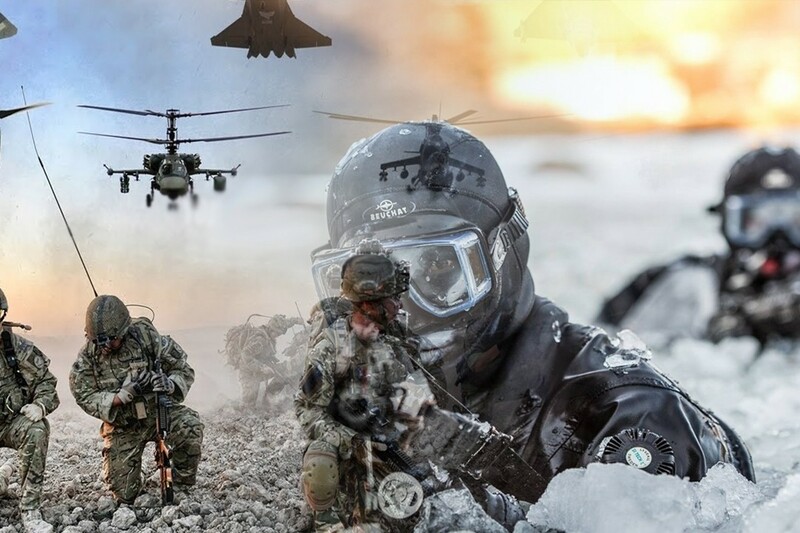 Even though it is a small country, its economic power, infrastructure, human development and strategic defense tactics have made it an extremely powerful nation in recent years. The Winning Probability for South Korea in a duel is 0.961. China ranks first in terms of population power and it is also the second largest economy in the world. The only thing that holds the country back right now is the low human development Index. Its winning probability in a bilateral competition is 0.97. China’s economy and manufacturing industry now has influence in countries all over the world. Japan has the third largest economy in the world and it has recovered for the most part from the devastating earthquakes and tsunamis in the past decade. Its cultural, political and economic influence is great throughout the world as Japan now holds 0.982 probability of winning in a bilateral competition with another nation. USA has been tipped as the most powerful country in the world with a high human development rank, largest economy and also the biggest military budget in the world. In case of a duel or bilateral war, USA has a 0.944 probability of winning. 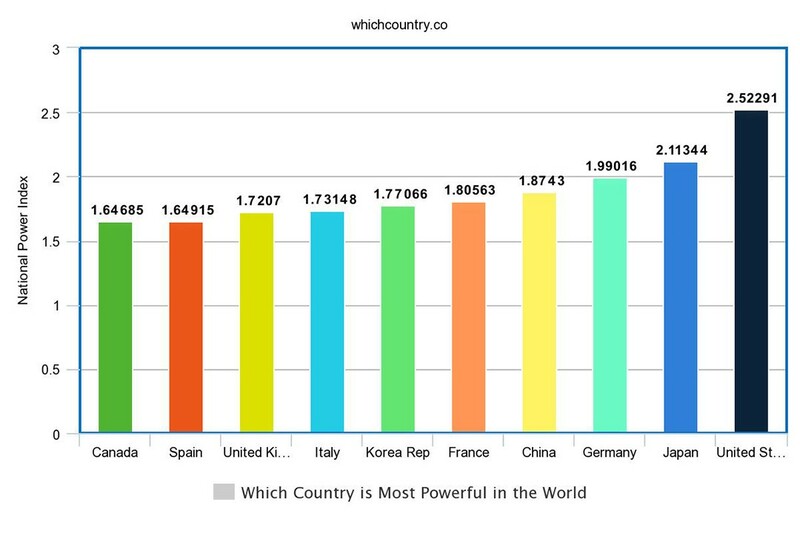 Q : Which country is most powerful in the world ? Ans: USA is the most powerful country with respect to GDP, military and being the third most dense human occupied in world.